OxIS represents the UK’s input into the World Internet Project (WIP), an international collaborative project which studies the social, economic and political implications of the Internet, carried out at over twenty universities and research centres around the world. WIP carries out detailed surveys in every member country to help understand how individuals adopt and use the Internet and other technologies, and what implications this has on their everyday lives — from their use of time to their role within their community. OxIS statistics and results can be compared with surveys from over three dozen nations worldwide. By defining a set of standard, core questions which are asked by all members in all WIP surveys, we can place British findings on trends of Internet adoption and use in a comparative perspective both cross-nationally and over time. Participation in WIP allows the Oxford Internet Institute (OII) to take a leadership role in a worldwide collaborative effort, and to become an authoritative source of independent research and analysis of global trends in Internet use, and the specific patterns in Britain. The WIP was founded in 1999 by Professor Jeff Cole (USC Annenberg School Center for the Digital Future) in collaboration with the Osservatorio Internet Italia at Bocconi University, Milan, Italy and the NTU School of Communication Studies in Singapore. 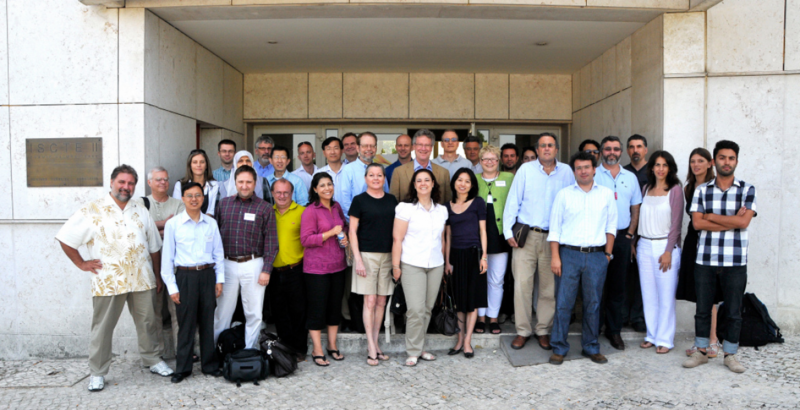 Image: World Internet Policy Project (WIP2) Workshop group, University of Lisbon (2010). Photo by Hugo Alexandre Cruz. Digital inequality means some local economies in Britain are disadvantaged. Combining OxIS data with the census can reveal for the first time the local patterns of digital inequality across Britain. Linking OxIS with data from the census and the NHS provides insights into the relationship between Internet use and healthcare outcomes: which can be mapped at the local area level. Did you consider Twitter’s (lack of) representativeness before doing that predictive study? Estimating the Local Geographies of Digital Inequality in Britain: London and the South East Show Highest Internet Use — But Why?